Kategorien: Behandlung/ Therapy approach, Lymphatic Education & Research Network www.lymphaticnetwork.org, Wissenschaft/Science | Permanentlink. Thanks for all the fantastic work you are doing Lymphatic Education & Research Network ! Kategorien: Behandlung/ Therapy approach, Lymphatic Education & Research Network www.lymphaticnetwork.org, Wissenschaft/Science | Tags: Lymphbahnen, wissenschaft lymphbahnen | Permanentlink. Einen super interessanten Beitrag! Herzlichen Dank für die Bereitstellung. Kategorien: Behandlung/ Therapy approach, Lymphatic Education & Research Network www.lymphaticnetwork.org, Wissenschaft/Science | Tags: behandlung, Lymphödeme, wissenschaft lymphödeme | Permanentlink. Ein wunderbarer und anregender Artikel die alle betroffenen, Firmen, Vereine und Mediziner am Herzen liegen muss. Ich habe mir die Mühe gemacht und das für den deutschsprachigem raum übersetzt. Die Übersetzung findet ihr unter dem originalen Artikel. This scenario gets played out thousands of times a day. Lymphedema is a combination of two words (“lymph” and “edema”) that most people will never utter once in their lifetimes. As a result, combining them only doubles the challenge of getting this word lodged in the public’s brain. This is true of many diseases, but it is also true that those diseases have established easy-to-remember acronyms. Turn on your television and you are likely to hear how advertising giants deal with getting a new disease branded for the general public. “Do you have Restless Leg Syndrome – RLS? Ask your doctor…” Or, “Are you suffering from OIC? Opioid Induced Constipation is a common condition…” There is much for us to learn from those spending millions of dollars to brand their diseases in order to engage the public. The fact that there are two spellings routinely used in the literature further compounds the problem. The United States, Canada and other countries spell the disease “lymphedema.” Great Britain and much of the rest of the world refers to it as “lymphoedema.” Try a Google search using these different spellings and you’ll get a completely different list of resources. This raises yet one more hurdle to universal recognition of the disease. Combine all these factors and the result is that lymphedema manages the miraculous feat of both affecting more than 150 million worldwide, while being invisible and unrecognized by the public. One by one, we need to remove all the obstacles that stand in the way of lymphedema becoming a global priority. In response to this, LE&RN will begin to routinely promote the acronym LE. Others may come up with an even better way to make lymphedema as commonly known as AIDS, or MS, or ALS. My guess is that if you asked most people to tell you what those acronyms stood for, you’d get blank faces or muddled answers at best. The fact is that it doesn’t matter. People merely need to attach the acronym to the disease, and then begin to accumulate information. We also ask the international community to weigh in on the dilemma of two spellings competing in the literature. Change is never easy, and it means compromise. Collective use of an agreed-upon acronym brings the world a little bit closer. Dieses Szenario wird tausendmal am Tag wiederholt. Lymphödeme ist eine Kombination von zwei Worten („Lymphe“ und „Ödem“), dass die meisten Menschen nie in der täglichen Unterhaltung nutzen werden. Infolgedessen ist dieses kombinierte Wort eine wahre Herausforderung und es muss dafür gesorgt werden das es bei der Allgemeinheit bekannt wird. Dies gilt für viele Krankheiten, aber bei den meisten anderen Krankheiten gibt es eine Reihe von leicht zu merkende Akronyme. Wir haben AIDS, MS, ALS, PTSD, SARS, TBI, RA, HPV und IBD, um nur einige zu nennen. In der Tat, schaut mal auf Wikipedia für Krankheiten und sie werden hunderte von Akronyme finden. Schauen sie allerdings unter „L“ und Lymphödem ist keines in Sicht. Und doch gibt es in der Tat ein Akronym für Lymphödeme, das nur sporadisch verwendet wird – „LE“. Schalten Sie Ihren Fernseher ein und Sie werden wahrscheinlich hören, wie Werbe-Riesen sich immer wieder damit befassen eine neue Krankheit für die breite Öffentlichkeit bekanntzumachen. „Haben Sie Restless Leg Syndrom – RLS? Fragen Sie Ihren Arzt … „Oder:“ Leiden Sie unter OIC? Opioid Induced Constipation… „Es gibt sehr viel was wir noch lernen müssen von den Unternehmen die Millionen von Dollar ausgeben um eine Krankheit der Öffentlichkeit bekannt zu machen und sich dafür zu engagieren. Die Tatsache, dass es zwei in der Literatur routinemäßig verwendete Schreibweisen gibt, steigert das Problem. Die Vereinigten Staaten, Kanada und anderen Ländern buchstabieren die Krankheit „Lymphedema.“ Großbritannien und ein Großteil des Restes der Welt bezieht sich auf sie als „Lymphoedema.“ Versuchen Sie eine Google-Suche mit diesen verschiedenen Schreibweisen und Sie erhalten völlig andere Listen der Ressourcen. Dies ist eine erhebliche Hürde für die allgemeine Bekanntmachung und Aufklärung diese Erkrankung. Kombinieren Sie alle diese Faktoren und das Ergebnis ist, dass Lymphödeme Auswirkungen hat auf mehr den 150 Millionen Menschen weltweit, während diese Erkrankung unsichtbar und unerkannt bleibt für die Öffentlichkeit. Wir müssen alle Hindernisse einer nach einander beseitigen um dafür zu sorgen das Lymphödeme eine universelle Anerkennung erlangt. Als Reaktion darauf beginnt LE & RN routinemäßig das Akronym LE zu fördern. Andere könnten einem noch besseren Weg parat haben um Lymphödeme so publik und bekannt zu machen, wie AIDS, MS oder ALS. Meine Vermutung ist, dass, wenn Sie die meisten Leute fragen, Ihnen zu sagen, wofür dieses Akronym steht, würden Sie leere Gesichter oder verworrene Antworten meistens erhalten. Tatsache ist, dass es keine Rolle spielt. Menschen müssen nur das Akronym kennen um dieses mit der Erkrankung in Verbindung zu bringen, und dann beginnen, sich zu informieren. Wir bitten die internationale Gemeinschaft auch an dem Dilemma zu arbeiten das es zweier in der Literatur konkurrierender Schreibweisen gibt. Veränderung ist nie einfach, und es bedeutet sicherlich Kompromisse. Der kollektive Gebrauch eines vereinbarten Akronyms bringt die Welt ein wenig näher. Kategorien: Behandlung/ Therapy approach, Lymphatic Education & Research Network www.lymphaticnetwork.org, Wissenschaft/Science | Tags: Abkürzung Lymphödeme, Lymphödeme, weltweite cooperation | Permanentlink. I Support World Lymphedema Day! Join us in Supporting World Lymphedema Day! 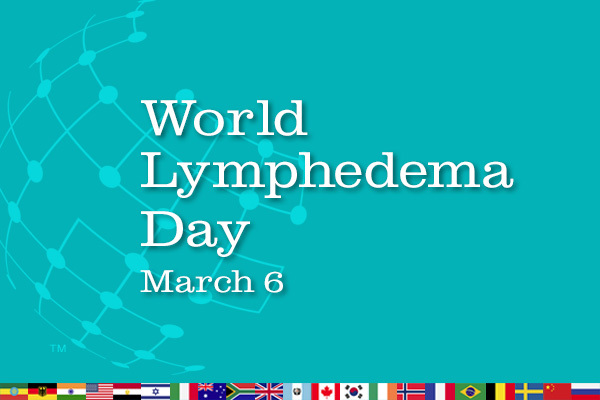 Lymphedema and lymphatic disease advocates from around the world are joining together to establish the first annual World Lymphedema Day. When LE&RN began hearing from advocates in Canada, India, Europe, and elsewhere that we needed a day to come together as a global community, we were proud to spearhead this call to action. Visit our online petition site at Change.org, read LE&RN’s letter from Executive Director William Repicci, and add your signature. Then, add your voice! Share your story there. Tell the world why silence on this issue is no longer acceptable; why we must, finally, be heard. Finally, help this petition go viral. Forward it on social media and send it to friends and family via email. Our goal is to have leaders around the world take notice. Together, we will change the world! Kategorien: Hilfestellung/Links/ etc., Lymphatic Education & Research Network www.lymphaticnetwork.org | Permanentlink. 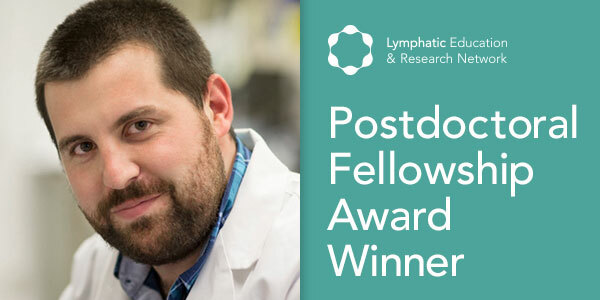 Antoine Louveau, Ph.D., a Postdoctoral Fellow in the Center of Brain Immunology and Glia, in the Neuroscience department of the University of Virginia, VA, under the supervision of Dr. Jonathan Kipnis, is a LE&RN Research Fellowship Award recipient. We asked Dr. Louveau to tell us about his research. My research focuses on the role of the Central Nervous System (CNS) lymphatic system in brain function in both physiological and pathological conditions. Until recently, the brain was thought to be among the few organs of the body to be devoid of a dedicated and functional lymphatic system and this was proposed to be a central reason for the immune privilege status of the brain. This discovery changes the game and we are now focusing on understanding how this lymphatic system works in the CNS and how it might be dysfunctional in neurological disorders, notably during Multiple Sclerosis and Alzheimer’s Disease. What do you hope to learn from this research and what impacts will it have on the current body of knowledge? I hope that this research will help us gain a better understanding of brain physiology. The question on how the brain drains and how antigens are exiting the CNS remains unclear. Similarly, we know that the brain is under constant immune surveillance that is important for the maintenance of brain function but the path for immune cells trafficking is still a matter of debate. In the periphery, the lymphatic system plays a major role on both of those functions, we then hope to understand how those systems are working in the CNS. Ultimately, we hope to understand how dysfunction of the meningeal lymphatic system might initiate or participate in the development of neurological disorders such as Multiple Sclerosis and Alzheimer’s Disease (AD). AD is characterized by the accumulation of misfolded protein in the brain parenchyma that causes memory loss. Understanding how the CNS lymphatic system participates in the removal of molecular waste from the brain might help us understand why and how proteins are accumulating in the brain. What clinical implications might grow out of this research? We still have a long way to go but we are hoping that the meningeal lymphatic vasculature might be a new therapeutic target that will be more accessible than the brain parenchyma to offer new treatments for neurological disorders. What might the field accomplish in the next few years? I think that the lymphatic field has initiated its shift from working with the system as a whole and has started considering specific function that tissue lymphatics have to ensure the maintenance of those tissues. I believe that such approach is going to enrich our understanding of the lymphatic vasculature, reveal important tissue specific function that the lymphatic system ensures and provide new targeted therapies to treat disorders of the lymphatic system like lymphedema but also emphasize the implication of the lymphatic system in numerous other disorders. LE&RN programs, like the Fellowship Awards program, are only possible because of our Supporting Members. Become a Supporting Member today, for as little as $5/month.